Universal Music Group and Frank Sinatra Enterprises, in conjunction with playDEF, have developed the FRANK SINATRA 100 app for iOS and Android to celebrate what would have been Frank's centennial year. The "appumentary" includes rare photos, exclusive audio/video content, and more. Enhancements will be added continually throughout the centennial year. Throughout 2015, one of the world's most beloved entertainment icons of all time, Frank Sinatra, will be celebrated around the world with commemorative centennial events, exhibitions, and new music and film releases. Ahead of next year's celebration, the definitive new FRANK SINATRA 100App, exploring Sinatra's incredible life and career, has been released worldwide today on the App Store and Google Play. The free-to-download app is available for iPhone, iPad, and iPod touch, and Android tablets. Designed and developed by playDEF on behalf of Frank Sinatra Enterprises and Universal Music Group, FRANK SINATRA 100 is a comprehensive and evolving "appumentary," inviting fans to step into Frank's world (on a string), with lush, vibrant imagery showcased in several rare and previously unseen photos, a unique, full-screen Sinatra Slideshow feature, as well as exclusive audio recordings and videos, including a 1962 filmed performance excerpted from the new Sinatra: LONDON box set. The app also delves into Frank's life and career with an interactive timeline, in-depth features, interviews, and personal stories about Frank from many who knew him best, including family members and friends. Over time, the dynamic app will continue to evolve and expand to reveal the complete story of one of the 20th century's most important pop culture figures--the renowned live performer, prolific recording artist, television personality, Oscar-winning film star, honored humanitarian, and adored family man. To accompany FRANK SINATRA 100's bounty of visual features, in-app music purchase options are available via major digital service providers, including the new Mastered for iTunes releases on the iTunes Store. Sinatra's music can also be streamed via in-app connectivity to Spotify, Rdio, or Deezer. On December 9, Universal Music Enterprises and Frank Sinatra Enterprises released Sinatra: LONDON, a new three-CD/DVD and digital audio collection presenting the remastered Sinatra Sings Great Songs From Great Britain studio album with a treasure trove of other London highlights from Sinatra's career. The sleek, book-style set includes more than 50 previously unreleased recordings, and its DVD features a previously unreleased filmed 1962 concert from Royal Festival Hall, plus a 1970 concert appearance from the same venue with a never-before-released performance of the classic song "A Foggy Day." Throughout his six-decade career, Frank Sinatra performed on more than 1,400 recordings and was awarded 31 gold, nine platinum, three double platinum, and one triple platinum album by the Recording Industry Association of America. Sinatra demonstrated a remarkable ability to appeal to every generation and continues to do so; his artistry still influences many of today's music superstars. He also appeared in more than 60 films and produced eight motion pictures. Sinatra was awarded Lifetime Achievement Awards from The Recording Academy, The Screen Actors Guild, and the National Association for the Advancement of Colored People (NAACP), as well as the Kennedy Center Honors, the Presidential Medal of Freedom, and the Congressional Gold Medal. Today, he remains a legend and an inspiration around the world for his contributions to culture and the arts. 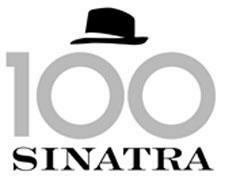 More information about 2015's global Sinatra 100 celebration will soon be shared. Stay tuned to the FRANK SINATRA 100 App for dynamic enhancements and special features to be added through next year's centennial salute. • Seven Steps to Hi-Res Audio Heaven at HomeTheaterReview.com. • Listening to Music by Mood Versus Album at HomeTheaterReview.com.